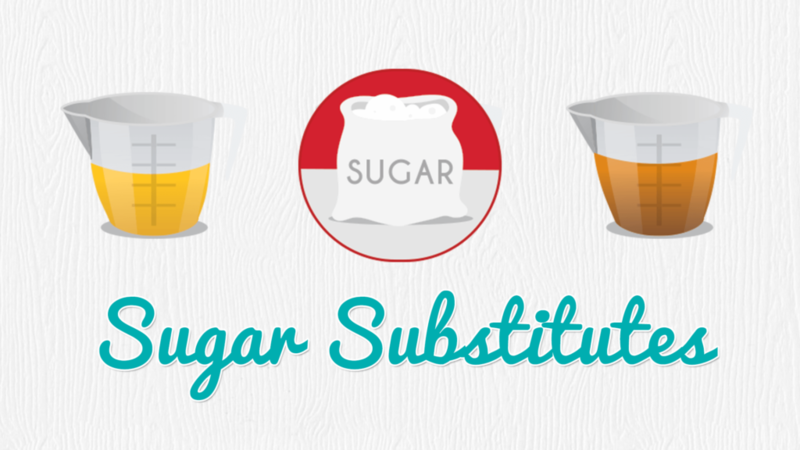 The Best Sugar Substitutes for Baking & FREE Substitutes Chart! Easily find the best sugar substitutes for baking with my free downloadable sugar substitutes chart! My Bold Baking style is all about giving you the confidence to bake anytime, anywhere. In this Bold Baking Bootcamp episode, I want to share useful tips and techniques on how to become a bigger and Bolder Baker including the best sugar substitutes for baking. This Sugar Substitutes post, video and chart will help you find the best alternatives to white sugar so you can keep on baking no matter your dietary preferences. Last week I shared a Free Downloadable Weight Conversion Chart that allows you to easily convert ingredients from cups to grams to ounces in your recipes. Growing up in Ireland if a recipe was in cups then I couldn’t make it. So, no matter what metric you use or country you live in you should never come across a recipe now that you can’t make. With Bigger Bolder Baking having such an international audience it’s really important to me that not only my recipes, but all recipes are accessible to you. Preferably, they would all be my recipes. Smiley face. What are the best sugar substitutes for baking? Nowadays people like to use more all natural sugars, some of my favorites being maple syrup, stevia, agave and honey. Since creating this chart I’ve discovered 2 other sugar substitute brands I really like, Lakanto Sweetener and Swerve. Lakanto brand offers both liquid and powdered sugar replacements while Swerve is a great alternative dry sweetener. To replace 1 cup of white sugar you can substitute it for 3/4 cup honey, or 3/4 cups maple syrup or 2/3 cup agave or 1 teaspoon stevia. Take care to fully read the chart because there are tips below the measurements about adjusting the liquid used in the recipe if you choose to use the liquid sugars like agave, honey or maple syrup. Likewise if you use stevia, you will also need to make adjustments to make up the weight of the sugar left out. Get More Alternative Baking Recipes! Just brush the measuring cup with oil before measuring and the honey will slide. Honey is a liquid ingredient. When substituting honey in recipes calling for 1 cup or more of sugar reduce the other liquids in the recipe by ¼ cup for every 1 cup of honey. It is recipe dependant too. Cookies may prefer less liquid sugar than regular sugar, you will need to experiment a bit!